So that you know the exact condition of property you’re considering to buy. We make sure you’re not going be met with any nasty surprises that could ultimately cost you money. A property might look great on the outside – but it’s what’s inside that counts. We will inspect areas you can’t see on an open inspection. From inspecting the roof framing to making sure that bedroom window doesn’t jamb. We have you covered. No – but we welcome and encourage you to join us on the inspection so you can see the condition of the property first-hand. If you can’t make it, everything is photographed and covered in our very thorough reports. We can talk about the findings over the phone, or you’re welcome at our office. This is a question that is often asked the most. We generally allow between 1.5 hours to 2.5. A lot is dependent on the condition of the home and the amount the building inspector has to comment on. One thing we will guarantee is, we never compromise our inspections by trying to do them quick. Every inspector knows this and will take the required amount of time to complete your inspection in a thorough manner. We allocate approximately 4 hours per inspection. Structure, foundations, flooring, electrical, ventilation, drainage, plumbing, roof framing, asbestos, moisture, retaining walls, pests/termites, salt damp, roof covering, ceilings/walls, fencing, maintenance advice, gutters, flashings, chimneys, fascias, eaves, flow test, hot water service, heating and cooling. We can also provide advice on how to tackle any problems that were discovered. Book in our Pest Inspection at the same time and save. This inspection service will also cover timber pests. Our building inspection reports conducted in Adelaide are all completed through an Ipad. Hand written reports are no longer carried out by HomeMasters. Our building inspectors will complete clear, concise reports in a way that is easy to understand including photos of problem areas. We offer follow up assistance as well, so once the report is sent, if there is anything you require further clarification on, our inspectors are available when you need them. Our inspectors are even available after hours. We aim to get the report to you the same day if done earlier on in the day. If done later, your inspection report will be sent via email the next morning. We also provide hard copies if you request. Ensuring you are fully aware of the homes condition prior to the cooling off period ending is our main priority, if you have any questions before you receive the report, we welcome your call. Generally the answer to this question is always yes however there are some questions you can ask before you choose to have a pre purchase pest inspection. Asking the agent if there has been any prior inspections is a great start. A termite inspection may have only been recently carried out. Has there been any prior treatments to the property? If you are able to provide the details we can tell you exactly what you must do. Asking the agent if there has ever been a termite problem. Check the meterbox on the property. It is a requirement that if any termite treatments are undertaken a label is added to the meterbox stating exactly what has been done to the home in regards to termite protection. Having a termite inspection prior to purchase will advise you of what is currently present on the day of inspection and there is simply no substitute for that. We provide a discount when you combine a termite inspection with a building inspection – See more here (Combined building and pest inspection). 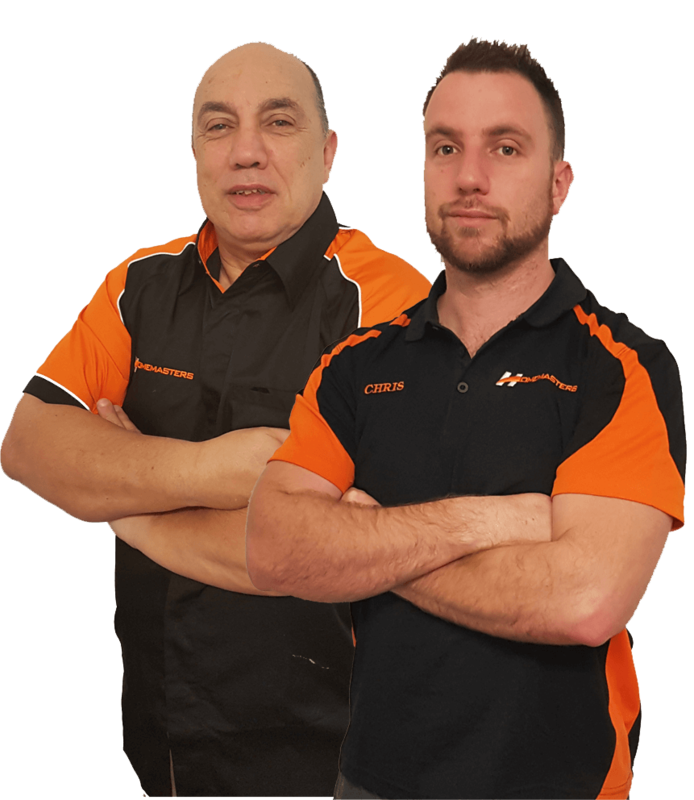 Our inspectors throughout Adelaide are trained professionals here to give you an unbiased report prior to purchase and are happy to help with any questions you might have. A termite inspection is very different to a building inspection. Under the current Australian Standards there is no requirement to comment on termites/pests if conducting a building inspection. HomeMasters believes that if during the building inspection if termite damage is found we will still advise you that damage was detected and something further must be done. Knock test all visible/accessible timbers including the roof space. Moisture test walls and skirting’s. Check surrounding trees on the property up to 50m from the main dwelling. Advise you of any prior treatments, if they are still effective, how the treatment works and what chemical has been used. Actively look for termite workings and damage and advise if any further recommendations are required. If active termites are located, advise you of species and potential damage they can cause. Potential risks that may attract termites to your potential new home. Comment on drainage/leaks/high moisture areas.